Thanks to Bill Schwenke for the pictures. Is this the end of the line for Pioneer Elite Laser Disc Players? With the introduction of the Digital Video Disc (DVD) only months away, this could be the final chapter in the technological evolution of the analog laserdisc player. If it is, and only Pioneer would know, they have stepped-up and delivered the very latest in state-of-the-art video circuitry. The CLD-99 replaces the Pioneer Elite CLD-97, an awesome responsibility since the CLD-97 and Runco LJR-II may be the best laserdisc players on the planet. When I began this review, I didn't intend for it to be a formal 'shoot out', but I did place the new model on a shelf right next to its predecessor. I connected both to my fully calibrated Sony XBR^2 reference monitor, played the same laserdiscs on both products, and used a Tektronix VM700A Video Measurement Set to capture their performance, measured toe-to-toe. When the smoke had cleared, two great products were still standing. The CLD-99 has the same elegant appearance as the rest of the Pioneer Elite product line. The high-gloss black "Urushi" finish has little to do with picture or sound, but it seems to make a public statement about the quality inside. Both products have highly polished simulated-wood end caps that increase their width, but enhance their finish. The CLD-99 is 5-11/16 inches high while the CLD-97 is a significantly taller 6-7/8 inches. Both products are very wide at 18-1/16 inches and extremely deep. The CLD-99 measures 17 inches front to back and the CLD-97 is 17-13/16 inches deep. As I removed the CLD-99 from its box I was immediately aware of how much lighter it was. It weighs a little over 23 lbs while the CLD-99 is a hefty 37-1/2 lbs. Since neither of these products is likely to fit comfortably inside an equipment cabinet they will probably see duty sitting on an open shelf. 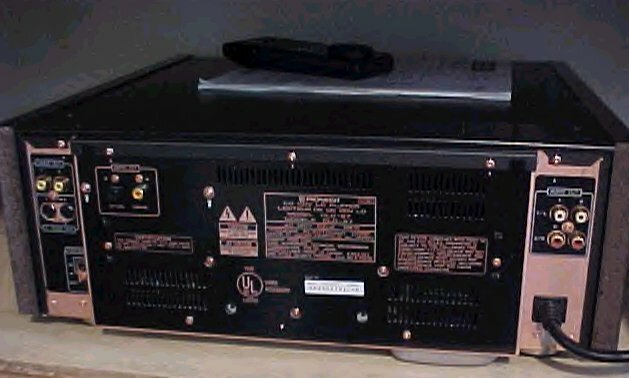 The bottom surface of the CLD-99 is a copper-plated chassis that hangs down almost to the shelf surface. This partially explains its shorter height, but if the LD player is above eye level when you are seated, this protrusion doesn't look especially attractive. The CLD-99 has a sculptured, slightly rounded face. The LD drawer is off center to the left, making room for a small display status window on the right. There is a button that turns off the display to prevent any digital display circuit noise from leaking into the audio. There are a minimum number of controls on the front panel including Play/Pause, Stop, Open/Close and Side A/Side B buttons. These are all standard front panel functions on the CLD-97 as well. Neither unit has a jog/shuttle control on the front panel. The CLD-99 has a direct access CD drawer, a feature not included on the CLD-97. The CLD-97 uses its expansive front panel space to provide a wider display window and a more open control layout. It has small, rich-looking, gold plated buttons and a cast aluminum chassis. The CLD-97 has a thin hinged door across the bottom of its front panel that hides the Scan, Skip, Direct Search and programming buttons. There is also a button for the digital noise reduction (DNR) function that is inconveniently omitted from its remote control. The other functions are seldom used since they are all contained on the remote. Although both units are handsome, I prefer the CLD-97's simpler lines and symmetric layout. Of course, you didn't visit CyberTheater to hear about my styling preferences, so let's move on. The rear panel of the CLD-99 provides two Y/C (S-Video) video outputs and two composite video outputs. There are also two stereo pairs of analog audio outputs, one digital audio coax output, a digital audio optical output and an AC-3 RF audio output. The CLD-97 has the same complement of connectors except for the AC-3 RF output. Both products also have Control In/Out jacks for controlling the LD player from another Pioneer component. Other features, new to CLD-97 owners, include separately adjustable digital noise reduction (DNR) for the luminance (Y) and color (C) signals. The CLD-97 also had separate Y/C DNR circuits but they were preset by design and not user adjustable. An adjustable sharpness control is also included. Another feature is the Direct CD function that enables the smaller CD tray, while disabling the internal video circuits to reduce digital noise interference in the audio circuits. The start up time for CD loading is also reduced in this mode. The CLD-99 provides an AC-3 RF output that owners of the CLD-97 would certainly like to have. Whether of not this alone justifies the considerable cost of the CLD-99 is another matter. AC-3 outputs can be added to the CLD-97 by numerous 3rd party service providers for a few hundred dollars or less. It is also possible to purchase do-it-yourself upgrade kits for the CLD-97 and other LD players. Beyond these new features, the CLD-99 includes two of Pioneer's single-bit audio D/A converters along with its Legato Link Conversion processing, digital video time-base correction, double-sided play, digital video memory for CLV still frames, and a host of repeat and programmed play modes from previous Elite products. You can rest assured that if you part with $2400 to get Pioneer's top-of-the-line LD player, they throw in all of their other latest and greatest features with it. The AC-3 RF output functionality was verified by driving a Pioneer Elite SP-99D AC-3 & Pro Logic Surround Processor for extensive AC-3 listening tests. We will discuss AC-3 listening tests in a future CyberTheater article. I did not do any substantial listening to the analog outputs, which use the Legato Link Conversion processing found in the CLD-97 and several other Pioneer LD players. My current reference monitor for critical evaluations is a 32" Sony XBR^2 (32XBR96) direct view monitor. I regularly re-calibrate its color temperature and gray scale tracking to the D6500 standard. Its chroma gain and phase are adjusted for each component under evaluation using a color analyzer to optimally match color standards. While not perfect, the color match is very close to the Sony BVM studio monitors that I have measured. Needless to say, all other video set-up parameters are calibrated with equal diligence. Even the geometry, convergence and overscan are checked, and readjusted if necessary, at regular monthly intervals. CyberTheater will have a detailed review of the 32XBR96 in the very near future. Although it is now discontinued and replaced by the Sony 32XBR100, that review and an accompanying 35" Mitsubishi monitor review, will provide a performance benchmark for all of CyberTheater's monitor reviews to come. It will also establish our procedures for measuring critical color performance and all other monitor parameters. Owner's of the 32XBR96 should also be interested in this report if they are thinking of new purchases. The 32XBR96 is ideal for equipment reviewing because it has completely separate, user adjustable video parameters (color, tint, brightness, etc), for each set of video inputs (and its built-in tuners). The 32XBR100 has a single set of adjustable video parameters, but includes the XBR^2 CRT, a 3-D digital comb filter, and like several other new Sony products, comes factory calibrated with the D6500 color temperature setting. I hope to provide a review of the 32XBR100 in the future. If it matches the basic performance of the 32XBR96, in addition to its 3-D digital comb filter, it would be a strong candidate for my personal laserdisc viewing. Incidently, we recommend that any high-end monitor be calibrated by a professional, right out of the box. If you are going to spend big bucks for the best possible monitor, then why not spend a little more and be sure it is performing to its full potential. Gray scale tracking, geometry, and convergence are just three parameters that can take several hours to optimize. Imagine the cost of these monitors if the manufacturer allocated that much time to each one. You can find a map of calibration service providers near where you live, on our home page. The equipment was first set up to evaluate the LD players without using the CLD-99's 3-D comb filter. 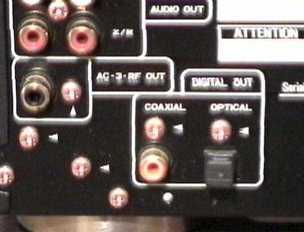 The composite video outputs from both LD players were connected to the Sony monitor. This put them on even ground, both using the monitor's digital 2-D Adaptive Y/C Separation Filter. I used a color analyzer and Reference Recordings' laserdisc, "A Video Standard" (AVS) to calibrated the chroma gain (Color), chroma phase (Tint), and black level (Brightness) separately for each input. I set the monitor's Sharpness adjustment to the same level for both inputs using a multiburst test pattern and within the tolerable level of aperture compensation induced outlining. Brightness level was set to 35 foot-lamberts for a 100 IRE display. Having calibrated the equipment it was time "to go to the movies". The one quality that has traditionally distinguished the small upper echelon of LD players from the rest has been lower chroma noise. Luminance noise is too low on most quality laserdisc players to be an evaluation factor. Chroma noise was also the parameter, but by a smaller differential, that established the CLD-97's superiority over Pioneer Elite LD-S2, three years ago. The LD-S2's digital signal processing (DSP) technology, now two LD player generations old, paved the way for DSP when it was still an inordinately costly and exotic consumer technology. In this new generational battle, the CLD-97 stubbornly refused to give ground. I tested the composite outputs first, turning the digital noise reduction (DNR) off for both players, to establish a basic performance baseline. In actual use, I can't see any reason to disable the noise reduction entirely like this. The CLD-97 showed less severe streaking in highly saturated patches of color. When I turned the DNR back on, the level of chroma noise dropped dramatically in both players but the CLD-97 was still significantly better. The older product has a simple on/off switch for DNR, while the CLD-99 was operating at its standard, mid-scale position. If I advanced the C-NR (color noise reduction) setting toward maximum, the CLD-99 closely approached the CLD-97's performance. When I tested the Y/C outputs following the same process, I obtained essentially the same results. The CLD-99 equaled the CLD-97, when its noise reduction was set to max. A good test for easily observing the different chroma noise levels is a color bar pattern that plays continuously (not a still frame). You can find this pattern at the end of several laserdiscs including "Escape from New York", [New Line Home Video, ID2330SU]. The CLD-99 has memory for three sets of user adjustable parameters, in addition to a standard setting, that each include adjustments for Y and C noise reduction, Sharpness, and the 3-D Comb Filter. This makes it easy to set up different chroma noise levels and experiment on real program material. If the C-NR level is set too high it could potentially create color smear or bleeding across color boundaries on fast moving images. I have not encountered these effects on the CLD-97's fixed chroma noise reduction setting. The CLD-99 sample had no trouble producing 420 lines of horizontal resolution but it created a somewhat softer picture than the CLD-97. Sharp edges and picture details were less distinct. The measurement section of this review shows that the frequency response of this sample rolled-off compared to the CLD-97, with a dip in the 2-3 MHz region. Fortunately, this is the usual operating range of monitor's sharpness controls. The CLD-97's sharpness control only modifies the signals from the Y/C outputs. Either sharpness control can provide compensation but should be used judiciously to avoid creating objectionable outlining effects. Comparing the composite outputs served as benchmark of the raw video performance capabilities of the two players. It established the baseline picture quality resulting from transport mechanism stability, digital timebase correction, digital noise reduction, power supply isolation and a dozen other circuit design factors. I didn't observe any other substantial picture differences using the composite video signal beyond what has already been discussed. We have finally arrived at the CLD-97's most important and impressive new feature, its 3-D Motion Adaptive Y/C Separation circuit. Although it is easy to set and forget in actual use, it is a bit more complicated to explain what it does and how it works. Readers that already understand all about comb filters may just skip ahead a couple of paragraphs while we cover a few basics for everyone else. Back in about 1953, when the NTSC color video standards were adopted, a choice was made to make the new color TV system compatible with the existing monochrome system. This led to a decision to mix the narrow bandwidth color information, into the top of the wide band frequency range that was already used for the black and white luminance information. In this way, the color TV signal could be broadcast in the same frequency space that was being used for the monochrome TV signal. The new color TV signal would also play on the existing monochrome TV's, in black and white, of course. The only problem with mixing the color (C) signal into the existing luminance (Y) signal, was figuring out how to untangle them again inside the color TV. Right up until today, this has remained a problem with no perfect Y/C separation solution. For years, the solution was to split the shared frequency spectrum up just below the bottom of the narrower color band. The luminance signals lost their higher frequency components and the picture had poor resolution, lacking the fine details that the camera had recorded. The color signal was still contaminated by those missing high frequency luminance signals. This created colored rainbow-like patterns within the finely detailed areas of the picture. Eventually a better technology, called comb filters, came into use. They are able to separate the overlapping Y and C frequencies to a higher degree. The analog comb filters restored most of the lost resolution and detail in the picture, but couldn't completely eliminate all of the rainbow patterns. In addition, dot patterns would appear along the edges of objects and degrade the image. The dot patterns are called hanging dots or dot crawl artifacts. The rainbow patterns are called cross-color artifacts. In the last five years or so, digital versions of comb filters, called 3-line or 2-D Adaptive Comb Filters, were introduced. This technology made major improvements in preventing dot crawl and minor improvements in cross-color. Finally, in the last year of so, the first 3-D digital comb filters have appeared in a handful of TV monitors and now for the first time, a laserdisc player. The 3-D digital comb filters are at least an order of magnitude more complex than the previous generation of comb filters. They can remove the annoying artifacts of the 2-D generation devices completely on images that are static and not moving or changing color. When images are in "motion" the new comb filters adapt by sensing that motion and reverting to the previous generation 2-D adaptive filters. Although imperfect, the digital 2-D adaptive filter algorithms can cope with images in motion, whereas the 3-D filters will generate even more obnoxious artifacts. 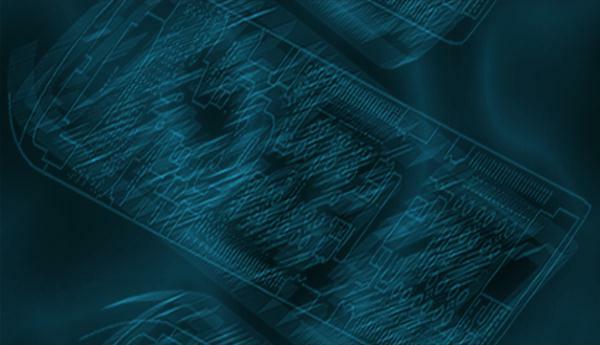 The formal name for a 3-D digital comb filter is a 3-D Motion Adaptive Y/C Separation circuit. If you would like to know a lot more about comb filters take a look at CyberTheater's Guide to Comb Filters: Y/C Separation. I switched from composite video cables to Y/C (S-Video) cables between the laserdisc players and the monitor. This permitted the CLD-99 to use its 3-D comb filter while the CLD-97 used its excellent 2-D comb filter. It soon became apparent that there was an important new difference between players. Generally, the CLD-99's comb filter removed a subtle layer of grunge from the CLD-97's picture. A faint shimmering effect disappeared on some complex images. Images that were mistakenly thought to be slightly grainy from the telecine transfer, were improved by the 3-D filter. The CLD-99 picture was still a bit softer but it now looked cleaner than the CLD-97. The sharper and clearer the telecine transfer, the more apparent the differences. In subsequent testing, I made comparisons on other monitors. The Sony XBR^2 monitor series is my favorite because of its extraordinary picture definition. On CRT's with less picture definition the general differences between the filters were not as obvious, probably because the 2-D adaptive filter's residual artifacts, like dot crawl, can be harder to detect in lower resolution systems. The irony of this situation is not at all new to video or high-end audio. The better we make the systems, the easier it is to detect the residual defects that were always buried below the resolution of other products. As I watched more laserdiscs and compared the 3-D filter to the CLD-97's filter, I also found more specific instances where the difference was momentarily dramatic. Occasionally, there are images where the 2-D comb filter simply can not separate the Y/C information. When that happens there is a major artifact in the picture. The really dramatic differences occur when the image is static because of the way a 3-D comb filter works. The advantage of the 3-D comb filtering technique only occurs when the picture is static between successive frames. Static means that the image location doesn't move or change color from one frame to the next. The 3-D comb filter detects that lack of "motion" and processes the composite video signal between the two frames. This is called inter-frame comb filtering. It is important to realize that inter-frame comb filtering can not work when a laserdisc player is in still mode. The player simply repeats the same frame over and over. This does not create the normal frame sequence of Y/C information necessary for inter-frame comb filtering to work. The 3-D comb filter reverts to 2-D adaptive filtering when it is in the still (step) mode. If the image is in motion, the comb filter can not compare two separate frames because a different image exists at a given screen location a frame later. When it detects "motion" it automatically adapts and switches to a 2-D filter implementation just like the CLD-97's. So you should expect, and you will see, that in the presence of motion the two filters look much the same. When the picture is static the 3-D filter cleans up the artifacts that aren't handled as well by the CLD-97's filter. Most of the time the artifacts are very subtle, because the 2-D filters are still very good Y/C separators and they can effectively handle most video material. They leave only a trace of residual artifacts on most static images. But it is that small residual the 3-D filter cleans up to unveil the picture. I like to provide basic examples that can be found on Reference Recording's laserdisc, "A Video Standard" (AVS). There are at least three good reasons. 1) Most people already have this disc to properly adjust their TV monitors. 2) Many of you will want to head for your retailers and duplicate these examples as part of your buying decision process. Your dealer should have a copy of AVS and if they don't, at least you won't need to take too many discs with you. 3) Just like you, the first place I see a new piece of gear is wandering through the dealers showroom. Before I ever secure a product for review, I want to make some preliminary evaluation so that I don't waste my time. Since I have dozens of different tests identified on this one disc, I can quickly find an appropriate test and one that I've seen over and over on a wide selection of products. Before you start looking at these examples be sure you have a reasonably good monitor with decent resolution. I am always suspicious when someone discusses results of visual observations from rear projection TV's set up in a dealer showroom. They are usually so poorly adjusted that you are lucky to make out an image at all. You might first take a look at frame 50789, and make sure you can at least see distinctly separated lines up to 400 in the vertically oriented resolution wedges. That means your system is displaying at least 400 horizontal lines of resolution. Then use the pluge pattern on frame 50817, to make sure the brightness control is also reasonably adjusted. Set up the LD player to be tested to repeatedly play a segment from frame 18600-18760. If you view this image with a 2-D comb filter you will see light colored dots moving along the diagonal edges of the large blue triangle in the center of the picture. This effect is known as 'dot crawl' or 'hanging dots'. It is an artifact caused by incomplete Y/C separation where there is crosstalk or leaking of the C (color) signal into the Y (luminance signal). The technical name for the problem is cross-luminance. If you play the same segment on the CLD-99, using the Y/C cable to the monitor, the dot crawl will disappear completely. The image that looks so bad on a 2-D filter is completely cleaned up by the CLD-99's 3-D filter. This is a perfect example of the 3-D filter's operation since the image is static with no movement. Since it is static, the 3-D filter is in its 3-D inter-frame comb filtering mode, and performs near perfect separation. Just beyond frame 18760, the triangle fades away. This constitutes "movement" because the color is changing. The 3-D filter senses this movement and reverts to the 2-D mode. The dot crawl will momentarily appear as the triangle starts to fade away. You can also experiment with the 2-D and 3-D modes of the CLD-99's comb filter by forcing it into the 2-D mode. Use the 'MEMO', 'SELECT', and shuttle ring on the remote control to adjust the '3-D Y/C' sensitivity from 'Min' to 'Max'. If the sensitivity is reduced to the 'Min' setting it forces the filter to operate in or near the 2-D mode. If it is set to 'Max' it forces the filter toward always being in the 3-D mode. This adjustability is nice for experimenting and understanding the effects of the two modes on different images. I found that overall the best results were achieved by leaving the control centered during normal operation. A 3-D Motion Adaptive Y/C Separation filter can make two kinds of errors. The most serious error is not detecting motion, staying in its 3-D mode and continuing to comb filter the dissimilar images between frames. As you advance toward the 'Max' sensitivity you are increasing the likelihood of this type error. The other error type, is to be overly cautious and detect motion when it doesn't exist. Then the filter operates in the 2-D mode when it isn't necessary. The separation will not be optimum, but it will be as good as a 2-D filter. As you move the sensitivity toward 'Min' you are becoming more and more conservative and getting less benefit from the 3-D filter. Next, let's look at an example that is more subtle, but more typical of the images you would see in a LD movie. Set the LD player to repeat the section from frame 13850-14150. This is AVS's famous supermarket scene (perhaps only famous because I keep using it as an example for different video problems). This section is 'ripe' with minor cross-luminance artifacts particularly in the fruit bins behind the shoppers. (Sorry) With a 2-D filter you will see very obvious dot crawl in the pricing signs, particularly around the red and white characters. Also look for small patches of faint dots, especially in the darker areas, between the oranges and the lemon/limes. There is also a general shimmering that creates a haze over most of the fruit. The better the monitor definition the clearer you will see the details in the picture, but also the more the cross-luminance effects will be apparent. If you look at this same scene with the CLD-99's comb filter you will see a cleaner image. The dot crawl on the pricing signs vanishes and the cross-luminance haze and shimmering is gone. Overall, this scene is representative of the ability of the 3-D filter to remove the very subtle residual grunge and veil that the 2-D filters may leave over normal video material. The inverse of cross-luminance artifacts are cross-color artifacts. This occurs when the Y/C separation filter is unable to remove all of the (Y) luminance information from the (C) color signal. These artifacts are not subtle at all. They result in bright colored rainbows that appear in picture areas that have very fine lines running in parallel, such as stripes on a shirt or threads in a jacket. Some people have come to call this the Roger Ebert effect, since he often wears tweed jackets that are particularly susceptible to creating this problem. The 2-D Y/C Separation filters are not very successful in avoiding cross-color artifacts, but on static images the 3-D comb filter can eliminate them entirely. Unfortunately, there aren't any real good examples of this problem on the AVS disc. So I will provide an example from another disc that creates killer cross-color problems. It will also illustrate the limitation of 3-D filters to fix the problem if the image is moving. Take a look at chapter 2 of "The Getaway", [MCA Universal Home Video, 42060]. This segment has some of the worst cross-color problems that I have seen. The rainbow patterns are especially hideous on the air-intake grill near the windshield of the car. The fine pattern in the grill, and the movement of the camera, make this area light up like a Christmas tree. Set up the LD player to repeat play the segment between 3:29-3:33. This is one of the few times the camera and resulting image are still long enough that you can recognize the dramatic difference the 3-D filter can make. It totally eliminates the cross-color in the grill. There is awful cross-color throughout this chapter but the camera seems to always be moving. It is often difficult to recognize that the 3-D filter is improving things, if only momentarily. But this does show the basic "movement" limitations of the 3-D comb filters. I want to close this discussion of the 3-D filter's benefits by pointing out an example where the CLD-99's 3-D filter is apparently unable to detect "movement" in the image. It uses the 3-D inter-frame comb filtering when only the 2-D mode will properly separate the image. Once again on AVS, set up the LD player to repeat the section from 1020-1220. This is an animated sequence where a cartoon character must 'fix' some 'broken' color bars. Notice that the normally cyan and magenta bars are changing colors every two frames. A 3-D filter should sense these color changes, consider this a "moving" image, and use its 2-D Y/C separation circuit. I've only had an opportunity to look at a couple of the 3-D filters process this sequence, but none of them have used the 2-D mode. Instead, they create a dark checkerboard pattern within the 'cyan' bar. It is very easy to observe. The 2-D filters handle the segment properly without creating any checkerboard artifact over the cyan bar. If you reduce the CLD-99's '3-D Y/C' sensitivity control from its midpoint, you will observe the checkerboard pattern vanish as the adjustment nears 'Min'. This is a rather artificial case, but it illustrates that the 3-D filter's adaptive logic is making very complex judgments and can be fooled. However, after watching a dozen or so complete laserdiscs with the sensitivity control in its standard position, I can't say that I ever saw a problem of this type occur during movie material. 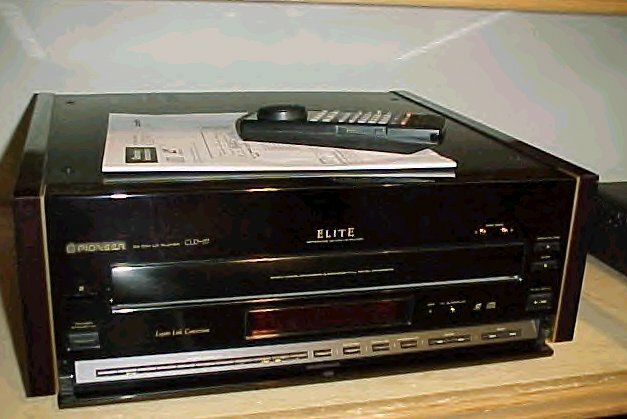 The Pioneer Elite CLD-99 is full of the latest laserdisc video technology. It's the only LD player on the market to feature an expensive 3-D Motion Adaptive Y/C Separation Filter. It also provides capabilities not included in the previous top-of-line CLD-97, including separately adjustable digital noise reduction for both luminance and color information and an AC-3 RF output. At $2400 list, it is the flagship of the Elite laserdisc player line. The basic video performance of the CLD-99 matched up well against the CLD-97, aside from a somewhat softer picture, and slightly more chroma noise in its standard mode. It is the 3-D digital comb filter that distinguishes the CLD-99's performance from its peers. Its adaptive filter constantly monitors for momentarily static images and the opportunity to avoid the subtle residual Y/C separation artifacts of 2-D filters. Overall, this appears to remove a thin layer of grunge from the average picture, and it removes the occasional serious static image artifacts when they would otherwise appear. I am impressed enough by the performance of this 3-D comb filter, and others that have appeared recently in select TV monitors, that I can't imagine not having one somewhere in my critical video path from LD player to monitor. I used a Tektronix VM700A Video Measurement Test Set and my reference copy of AVS to make all of the measurements presented here. 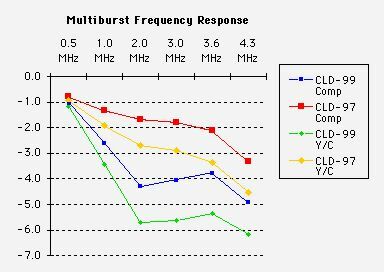 The frequency response dip at 2.0 MHz and 3 MHz explains why the CLD-99 had a softer picture than the CLD-97. All measurements were taken with the CLD-99 in standard mode (all settings at midrange). The CLD-97 measurements were taken with the Digital Noise Reduction on. Both units had very low video noise with either the composite or Y/C video outputs. Other magazines usually show only the NTC-7 Weighted numbers. I have also included the unweighted figures as references for future articles. Both products are distinguished by their very low chroma noise. Most magazines only publish a single value usually with an unspecified weighting factor. I have included four standard weighting factors as references for future articles. AM Chroma noise causes variations in the color saturation levels. PM chroma noise causes variations in hue. The Chrominance to Luminance Delay indicates the time alignment between the Y and C signal information within the composite video output. If the delay becomes too long the color will appear to smear or bleed at the edges of objects. Since the active time (portion you can see in the absence of overscan) of a horizontal scan line is about 52.5 uS, a monitor would need the ability to resolve about 1000 lines horizontally to just perceive a 50 nS delay. The Chrominance to Luminance Gain inequality is a measure of the C signal gain to the Y signal gain within the composite waveform. If the C signal is incorrectly matched to the luminance signal, it will show up as incorrect color saturation in the picture. The monitor's color control can compensate for this condition. The CLD-99 chroma gain was set too low but well within the monitor's ability to compensate. The Y/C delay was below the threshold of detectability for both products. The CLD-97 was particularly exceptional. This measurement looks at the amount of jitter across all horizontal lines within a field of video. The measurement is made over many fields looking for the worst case peak-to-peak error. It is a measure of the effectiveness of the digital timebase corrector in the LD player to prevent the image from momentarily shifting between horizontal scan lines. This is a serious problem in the case of VCR's, but shouldn't be a problem on LD players that have digital timebase correction circuits, as these players do. Both players perform below the threshold of detection. In future LD player reviews we will present other measurements from these products if they help to explain any product to product differences that we may observe.